Bureaucracy contrasts the two forms of economic management—that of a free-market economy and that of a bureaucracy. In the market economy entrepreneurs are driven to serve consumers by their desire to earn profits and to avoid losses. In a bureaucracy, the managers must comply with orders issued by the legislative body under which they operate; they may not spend without authorization, and they may not deviate from the path prescribed by law. 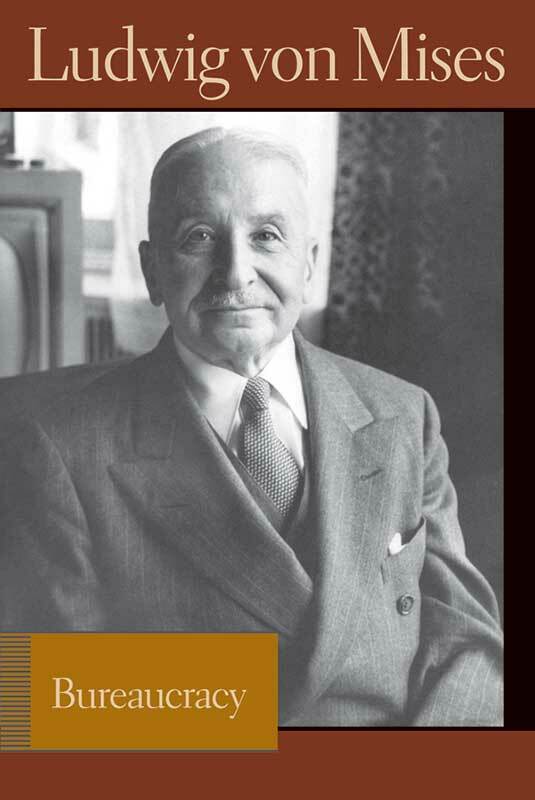 Ludwig von Mises (1881–1973) was the leading spokesman of the Austrian School of economics throughout most of the twentieth century. Bettina Bien Greaves is a former resident scholar and trustee of the Foundation for Economic Education and was a senior staff member at FEE from 1951 to 1999. Editor's foreword, preface to the first edition, preface to the 1962 edition, index. This site uses local and third-party cookies to maintain your shopping cart and to analyze traffic. If you want to know more, click here. By closing this banner or clicking any link in this page, you agree with this practice. Sign up to receive news updates! Sign in or sign up to see your cart. *This item is not yet available. When it becomes available, you will receive an e-mail notification to return to your cart and complete your purchase.